Architectural Columns, Pergolas, Shutters, Balustrades, Millwork & More! 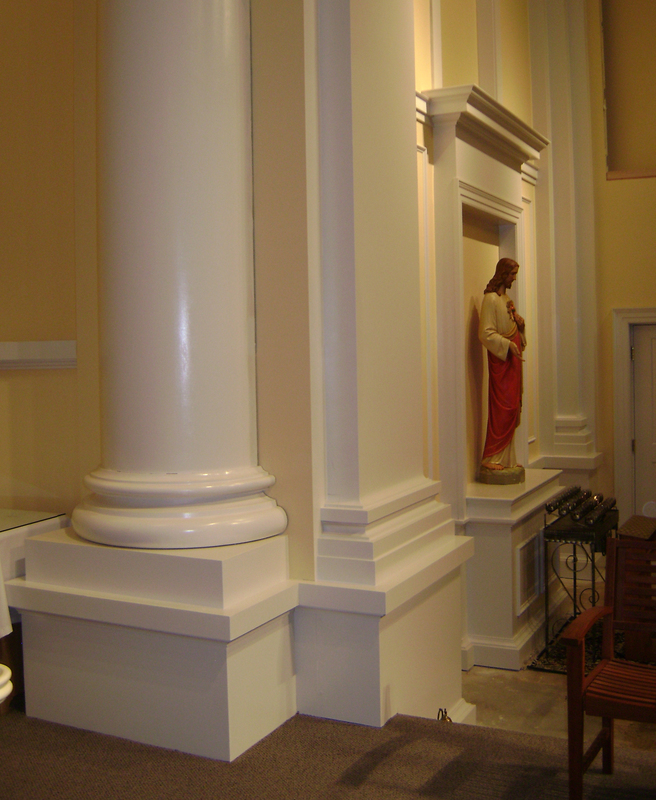 COLUMN DESIGN: Architectural Wood – Plain, Tapered column. Plan Shape D – half round. 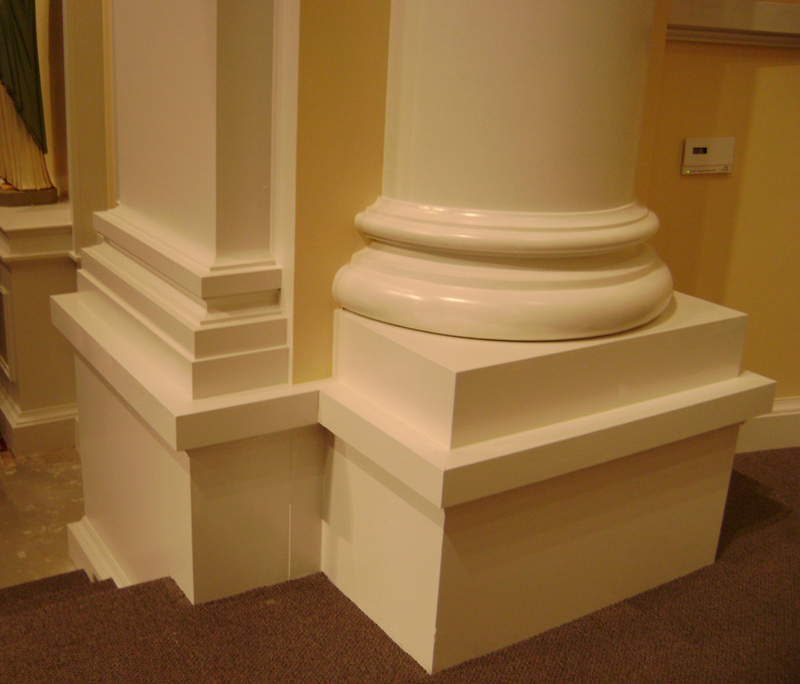 Roman Doric capitals & Ionic (Attic) base moldings / plinths. COLUMN MATERIAL: Paint-Grade, Finger-Jointed Western Red Cedar. 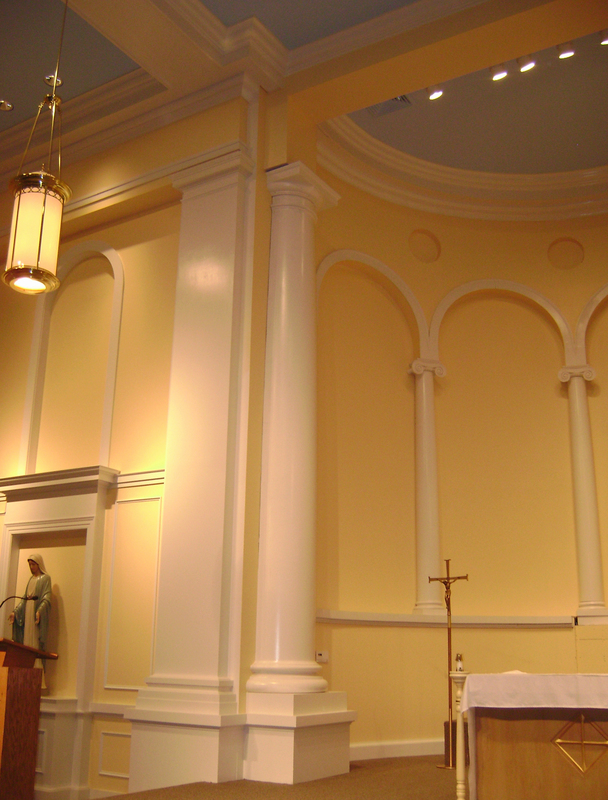 PROJECT COMMENTS: Chadsworth Columns provided the columns and capitals for St. Ann’s Church in Charlotte, North Carolina. The project was conducted by Atlantic Commercial Caseworks of Charlotte, North Carolina. In total, there were (6) columns and (4) Greek Erechtheum capitals. 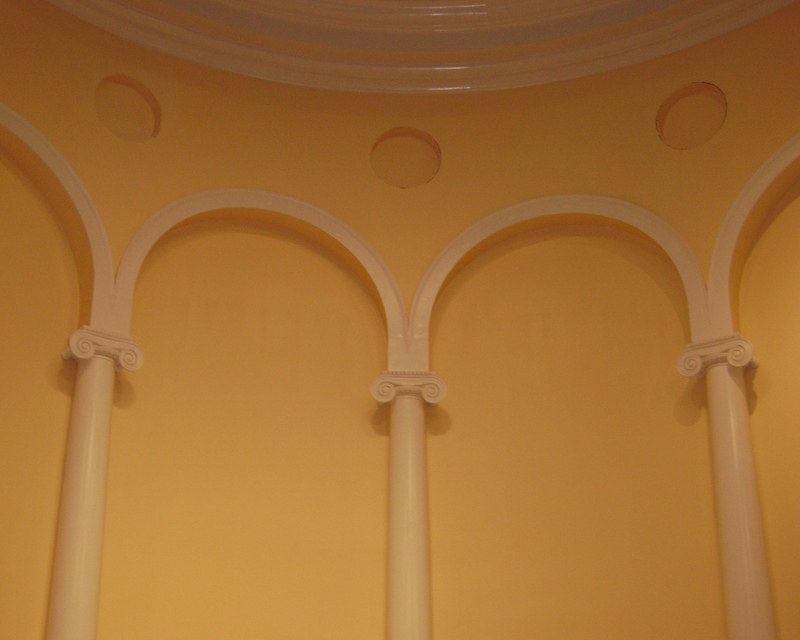 There were (2) – 30″ x 19′ wood columns and (4) – 12″ x 11′ (Plan Shape K – 3/4 round) engaged columns.